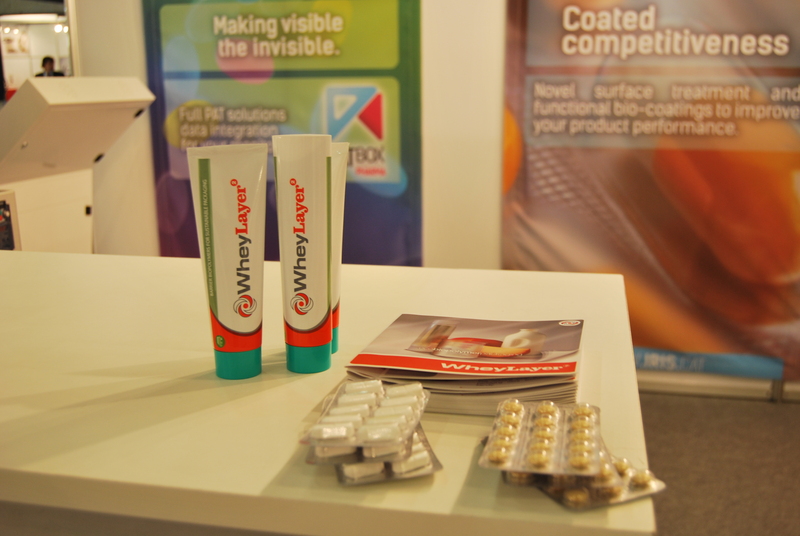 The project partners presented Wheylayer at Interpack. More than 175.000 visitors, 2.700 exhibitors and 19 halls, are the figures of the number one trade fair for the worldwide packaging industry, celebrated from 8 to 14 may at Dusseldorf (Germany). 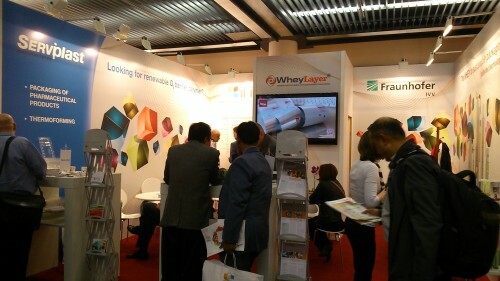 Wheylayer project was met with success among attendants and over 200 visitors were actively interested on the unique new O2 barrier biopolymer. 4 project partners shared a stand (IRIS, TUBA, Fraunhofer and Serviplast), to participate in the dissemination of the project to the trade fair visitors, bringing several support materials and samples to deliver among the visitors and show the benefits of the project development. The TV channel Dnevnik SLO1 dedicates a space in the news to talk about the awards (minute 22:30). The Magazine Finance also mentioned the award ceremony. Click here to view the new. 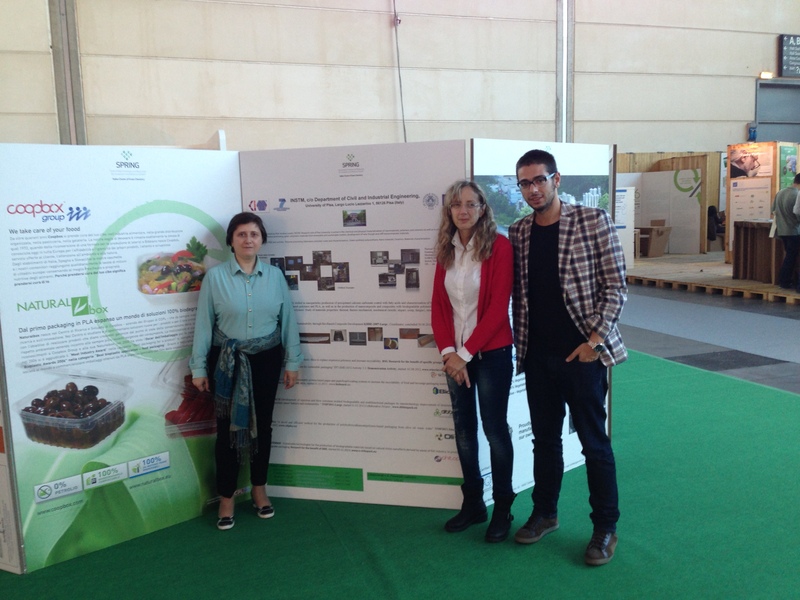 The University of Pisa attended the Ecomondo tradefair in Rimini on 6-9 November 2013. They exhibited the Wheylayer project within this event aiming at being a platform for Green Solutions. IRIS presented Wheylayer project in his booth at Pharmaprocess, a trade fair for the pharmaceutical sector celebrated in Barcelona end of October with more than 800 attendants. 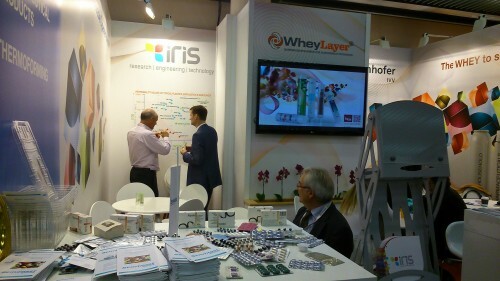 The visitors could know about Wheylayer through the leaflets, samples and touchscreen information they found at IRIS stand. Dr. Ing. Elodie Bugnicourt and M. Schmith publishes a technical article titled “Films with excelent barrier properties” in Bioplastics Magazine (vol 8. Setember 2013) with references to Wheylayer project. POPO TV, a prime TV program from the slovenian TV interviewed the director of Lajovic Tuba, one of the Wheylayer project partners, and mentioned Wheylayer project. The main claims of the Wheylayer patent, especially regarding its process, have been recognized as novel by the PCT examination. The consortium is now considering the regions and countries where to enforce the patent and is setting up a licensing agreement scheme. The Wheylayer patent allows better industrial process with lower energy consumption while maintaining the excellent barrier properties for the innovative whey-proteins based coating developed during the project. The internal magazine of Lajovic Tuba, Tubica, published two sides of the project Wheylayer. The new edition of Tubica magazine has an article about how to install the machine and other about the general meeting celebrated in Tuba and Ilirija.